If the idea of trekking through dramatic trails, challenging routes and perilous roads lends you a sense of adventure, Gangotri Gomukh trek is a perfect choice for you. A journey into the wilderness represents a unique combination of fun, enjoyment and thrill, which we tend to miss amidst daily life struggles. Gangotri Gomukh trek is a well-known trek for those who are endowed with a keen sense of exploring the beauty of the unknown. 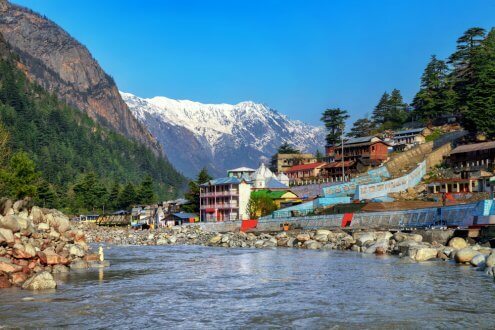 The spirituality of the place Gomukh, the mythological source of the River Ganges, further adds to the experience that travelers are looking forward to on Gangotri Gomukh trek. Here, one can not only enjoy trekking as an adventure enthusiast but can also seek blessings at one of the popular holy places for Hindu pilgrims, Gomukh. Located on the banks of Bhagirathi river, Gangotri is a well-known pilgrimage site for followers of the Hindu religion. According to mythology, it is in this town that the Goddess Ganga descended for the purification of souls when Lord Shiva allowed the mighty river to flow from the locks of his hair. Gomukh is situated at a distance of 13 miles southeast of Gangotri. As the turning of the course of water creates the shape of a cow’s mouth, the Gangotri glacier has been named Gomukh. From the snout of Gomukh, the most revered River Ganges originates. It is here that travelers can enjoy the spellbinding view offered by the Bhagirathi peaks. Haridwar, Rishikesh, Gangotri and Gomukh. The journey for this trek begins from a famous Hindu pilgrimage site, Gangotri. The bank of the river Bhagirathi is one of the major attractions of this place. To trail along the course of the sacred river and crossing through thick cedar and pine forest is an experience in itself. 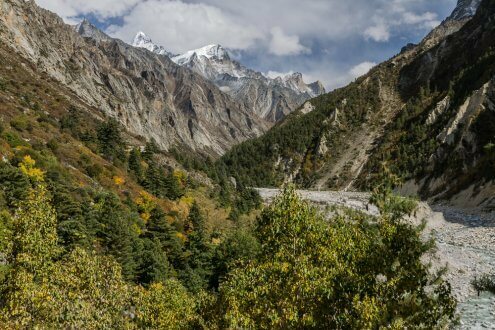 The view of the Gangotri group of peaks and stretch of Himalayan range forming silver cascade beautifully rewards the journey involved in this strenuous trek. Gangotri to Gomukh trekking expedition commences from Gangotri and leads to Bhojwassa through the lush green bed of Chirbasa. To witness barren and desolate landscape getting replaced by the beauty of the forest is a majestic view to behold. It not only inspires imagination but also stirs senses to admire nature and its creativity. Also, spending some peaceful time here is the best way to introspect and reflect on life better. While indulging in Gangotri to Gomukh trekking expedition, travelers can spot herds of Bharal, blue mountain goats, on mountain ridges. Exceptional escapades, rolling meadows and picturesque trails combine to lend an unforgettable experience on a Gangotri to Gomukh trekking expedition. The months of May, June, September and October constitute Gomukh trek best time. 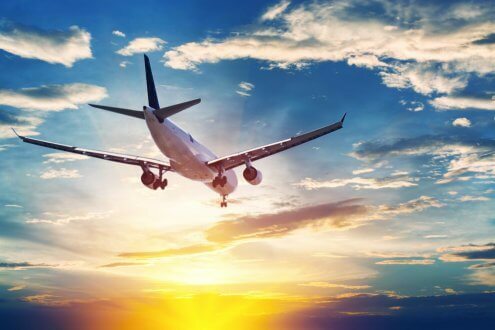 During May and June, travelers can enjoy salubrious and pleasant weather. For those who wish to trek amidst snowfall and picturesque landscapes, the months of September and October forms idea time framework. Also, it is advised to book tickets in advance during this time of the year. 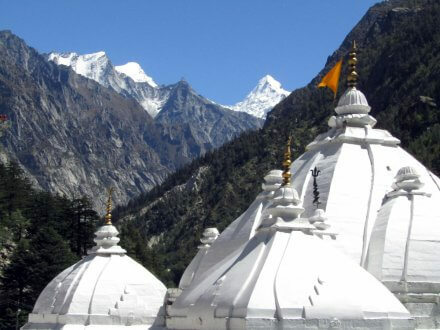 Offer prayers and seek blessings at the famous Gangotri Temple. Visit the Gomukh Glacier, a snout from where the river Bhagirathi originates. Get enchanted by spectacular views offered by peaks like Shivlinga, Bhagirathi I, II and Meru. Enjoy trekking amidst beautiful alpine meadows and stunning landscapes. The nearest airport to reach Gangotri is Jolly Grant Airport near Dehradun. The nearest railhead is in Rishikesh. After arriving at the railway station, travelers can take regular buses that run between Gangotri and Rishikesh. Trekkers can also set their base at Uttarkashi and reach Gangotri comfortably the next day. 1. Is it important to properly acclimatize the body for the trek? Yes, it is important to acclimatize the body to avoid high altitude sickness while trekking. 2. Can trekkers purchase trekking equipment on rent in Uttarkashi? Yes, trekkers can buy trekking equipment on rent in Uttarkashi. There are many shops that provide such essentials needed for the trek. 3. What are the must-carry essentials on Gangotri Gomukh trek? 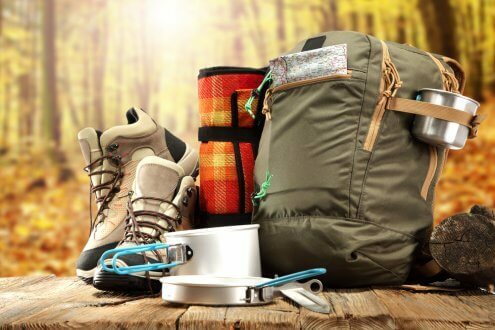 Walking stick, woolen clothes, hiking shoes, trekking pole, moisturizer, water bottle, electric torch, compass and medical kit are some of the must-carry essentials on Gangotri Gomukh trek. Read one more trek at Kuari Tapovan Trek. Complete Guide!